Wise words... maybe you heard this from your boss or the leadership team. Maybe a motivational speaker came to your offsite and talked about creating a culture that embraces failure (maybe it was me!). So why do we apply for jobs with a resume that only focuses on success? Failure opens our minds to different directions, and gives us the courage to change our plans. It is the most tremendous learning opportunity around. Failure is the greatest teacher. So why not be proud of what you've overcome and the path you've taken to get here? Maybe you should try a relevant résumé. The relevant résumé is the first résumé that displays your failures. It highlights your failures at each job, mistakes you made in school, skills you don't have or need to work on, honors you set out to achieve but failed, and even bad references or people who may think you're not that good at something. Anyone who's willing to put a relevant résumé out into the world is confident in his or her abilities. The person embraces transparency and is an open book with nothing to hide. And they understand that part of learning and growing is failing. It also shows that you have a drive to grow and overcome your mistakes. You aren't afraid to put yourself out there and try to meet your goals. Who wants an employee who plays it safe and rides the fence just to get by and blend in? The relevant résumé gives employers a better idea of a person and the leadership within. It shows them what you have learned and how you persevere. It allows them to find applicants who are comfortable with where they've been and what they've overcome rather than sifting through the same old lies and embellishments. Now what do you think an employer would do when they see this? Well for one thing you would stand out and they may ask themselves 'why on earth would this person be sending a resume like this'. But after some thought, I can tell you they WILL remember you, they will likely want to bring you in JUST to ask you about it and finally they will put more value on the learning and growth you had. The key of course is to find the right balance between sharing your failures and successes. But the idea here is to use the failures to demonstrate honesty and to comparatively bring attention to the success you did have. Here is an example of a bullet. "Launched an ad campaign to increase sales by 10%, but a communication error and not following up with a key stakeholder resulted in a delay of the ad and poor copy. Although sales increased by 3%, the overall cost was negative. I learned a valuable lesson in making sure to follow-up on communications so that all parties are aware of deadlines and to manage those deadlines with vigilance." Although the bullet is a bit wordy, it tells a great STORY and the most important aspect of the story is the moral of that story. So now your résumé is doing a much better job of storytelling. There is inherent value in that, because when employers gets thousands of résumés, you need to stand out. Storytelling, along with sharing failures both good tactics to do so. Why? 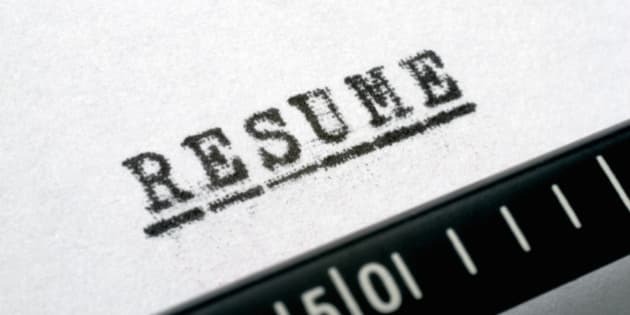 Because you need to create relevance to the one reading your resume. An editable template of the relevant résumé can be downloaded here. Showcase your failure, demonstrate your learning and perhaps create a stronger brand of leadership.